A year after the relatives of a teenage girl cut off her nose and ears while her husband tied her down, Afghan police have arrested one of those allegedly responsible. Bibi Aisha is one step closer to justice. According to Daily Beast sources, Afghan police in the Chora district of Uruzgan province recently arrested the young woman’s father-in-law, Sulaiman, on charges stemming from his involvement in Aisha’s maiming last summer. Police are continuing to look for her husband and his brother, who are reportedly on the run. Both men face charges for their role in cutting off the teenager’s nose and ears as punishment for her decision to run away from her abusive husband and his family. Those who have worked on Aisha’s case from the start hope Sulaiman’s capture is only the beginning in bringing the heinous crimes committed against Aisha to the country’s attention. Naderi says this is not only a victory for Aisha, but for so many others in a nation where increasing numbers of domestic-violence victims are killing themselves, unable to escape their brutal lives. According to a 2008 report by the human-rights group Global Rights, as many as 87 percent of Afghan women experienced at least one form of physical, sexual or psychological violence or forced marriage; of those, 62 percent experienced multiple forms of violence. Aisha's 60-year-old father, Mohammadzai, is himself hiding with relatives, fearful that other Afghans will hold it against him that his daughter has left for the U.S. Speaking to The Daily Beast by phone, Mohammadzai said he fled his village after people stopped speaking to him, and refused him work to support his family. What he wants, he said, is for Aisha to return to Afghanistan, and for her tormentors to be punished, although he is doubtful that those who maimed his daughter will be brought to justice. Women for Afghan Women lawyers are working to convince the attorney general to try the case against Aisha’s father-in-law in the Afghan capital of Kabul, where they think they will have the best chance of a fair trial. While Aisha has made tremendous strides—teaching herself English and taking to the Internet, cellphones, and texting—she is still not stable enough to go through a series of operations that could take many months and exact an emotional toll. She still suffers seizure-like episodes, pulling her hair or retreating into herself. Before coming to the U.S. this August, Aisha spent nine months in a women’s shelter in Kabul run by Women for Afghan Women, which resisted pressure to send her to America straight away. She is now on the East Coast under the care of Women for Afghan Women, which is seeking therapy and skills training for the young woman. She has been living with various host families and has kept close contact with staff and volunteers from the Grossman Burn Foundation, which sponsored her trip to the U.S. Correction: In an earlier version of this article, the photo caption incorrectly stated that Aisha had undergone reconstructive surgery; in fact, she is wearing a prosthetic nose in the October 2010 image. 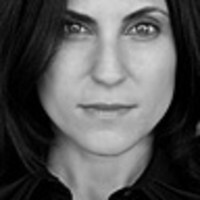 Gayle Tzemach Lemmon is the deputy director of the Women and Foreign Policy Program at the Council on Foreign Relations. She has spent the last five years reporting on women entrepreneurs in conflict and post-conflict regions, including Afghanistan, Rwanda and Bosnia. Her upcoming book, The Dressmaker of Khair Khana , tells the story of a young Afghan entrepreneur whose business created jobs and hope for women in her neighborhood during the Taliban years. The Dressmaker of Khair Khana will be published by HarperCollins in March.